In the late 1800's, celery was highly prized, all "high society" hostesses owned a celery vase for every table setting service. Celery was quite expensive and considered a delicacy, it was displayed in a beautiful glass celery vase at the table to impress guests. This antique celery vase is certainly impressive all on its own. 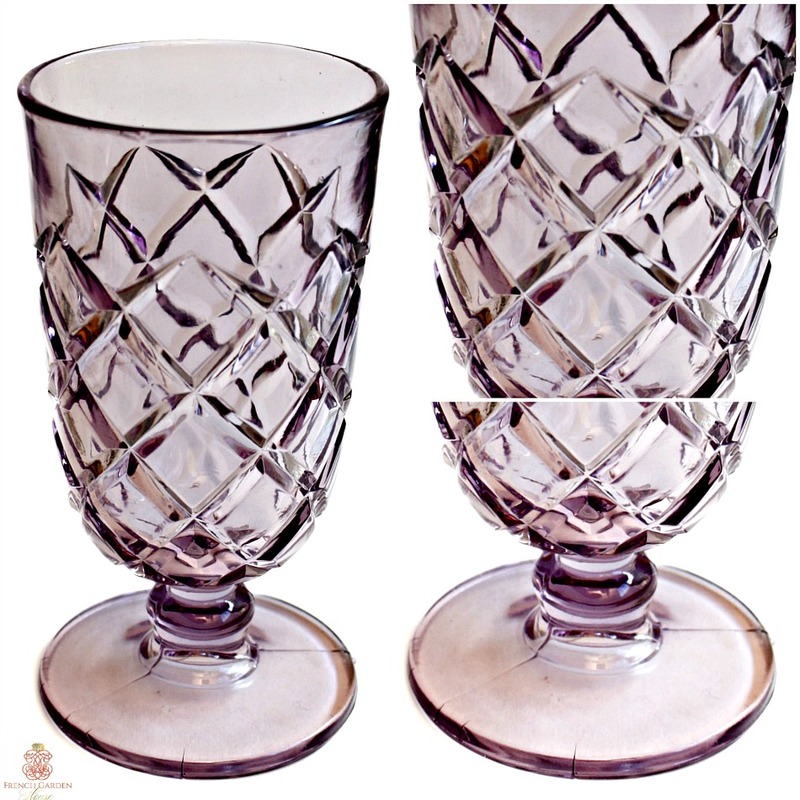 Gorgeous lavender color, fine and elegant decorative cut diamond design on a footed base. 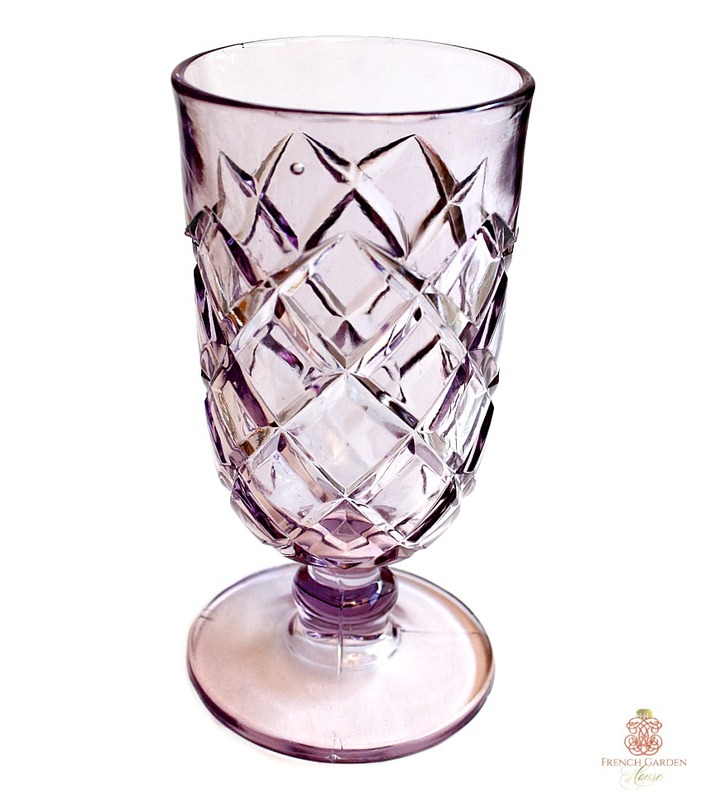 Perfect for celery, but also flowers love to be shown off in this rare to find glass. 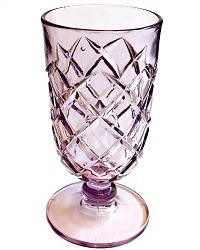 Display this with your antique French, English and American pressed glass. Use it on your buffet to hold your sterling silver flatware, to display your first heirloom roses, the uses are endless. Good antique condition, there are a few bubbles and the foot has some annealling marks.